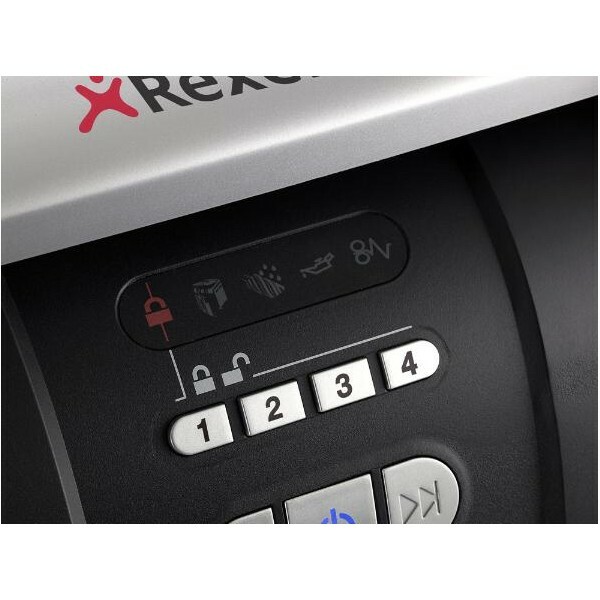 From personal and executive shredders to high volume office shredders - Rexel shredders are packed with technology to ensure they meet the demands of our busy users. The ONLY personal shredder to shred 60 sheets in one go! Compact, stylish design ideal for home and office use. 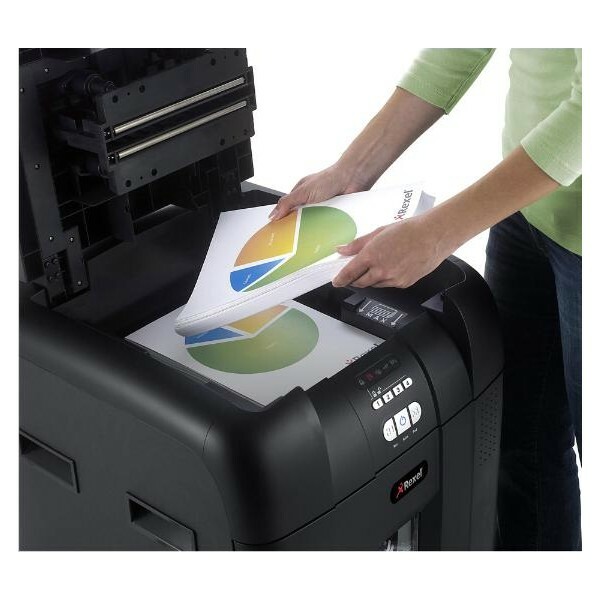 Simply open the lid, fill with paper, close lid and let the machine do the shredding automatically for you. 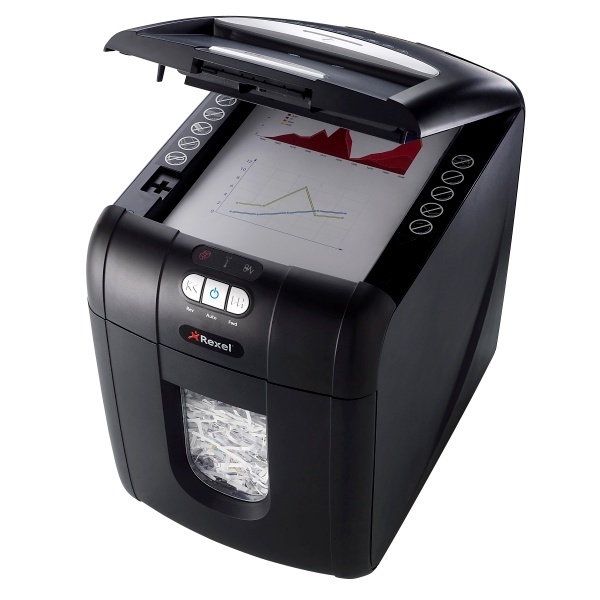 Shred 60 sheets at once or 5 sheets through the bypass slot for convenience - 4 mm x 40 mm Cross (Confetti) Cut (security level 3) shredder. No need to remove paper clips or staples. Dedicated slot for shredding credit cards. LED cool down indicator. Auto shut off after 2 minutes of non-use to save energy. The ONLY personal shredder to shred 100 sheets in one go! Compact, stylish under desk or desk side design. 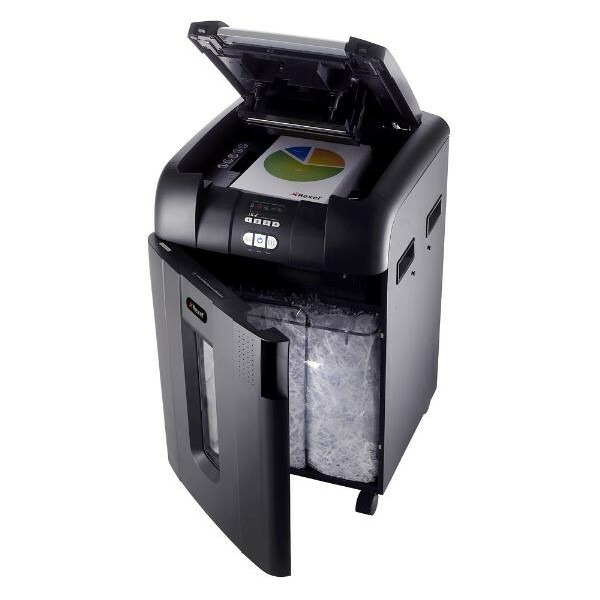 Simply open the lid, fill with paper, close lid and let the machine do the shredding automatically for you. 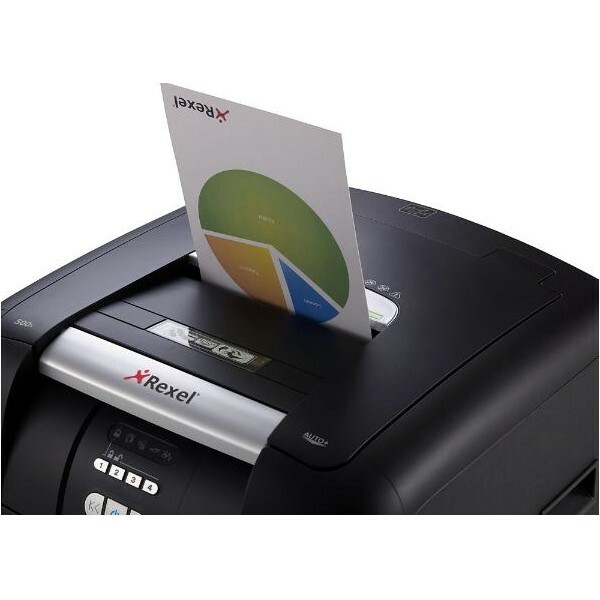 Shred 100 sheets at once or 6 sheets through the bypass slot for convenience - 4 mm x 50 mm Cross (Confetti) Cut (security level 3) shredder. 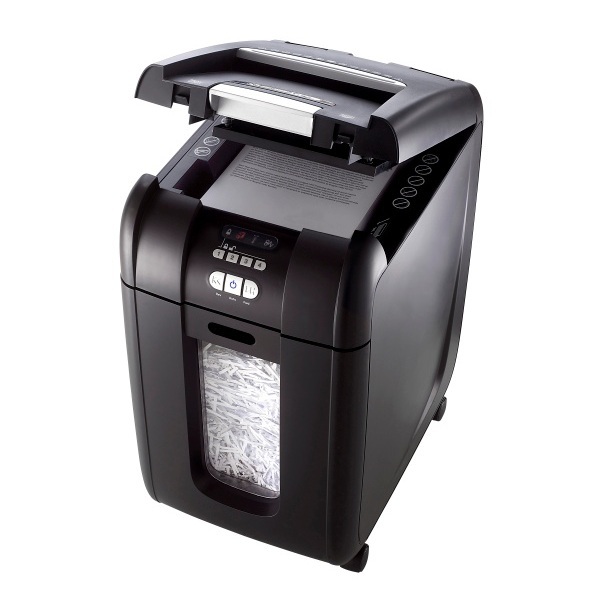 The ONLY small office shredder to shred 250 sheets in one go! 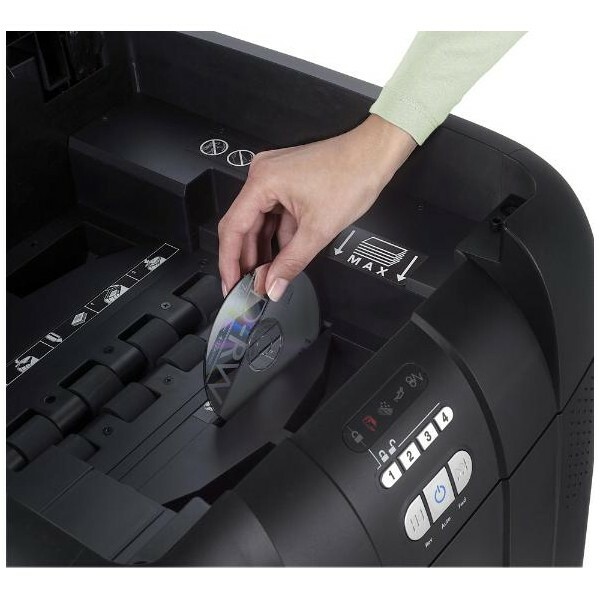 Simply open the lid, fill with paper, close lid and let the machine do the shredding automatically for you. 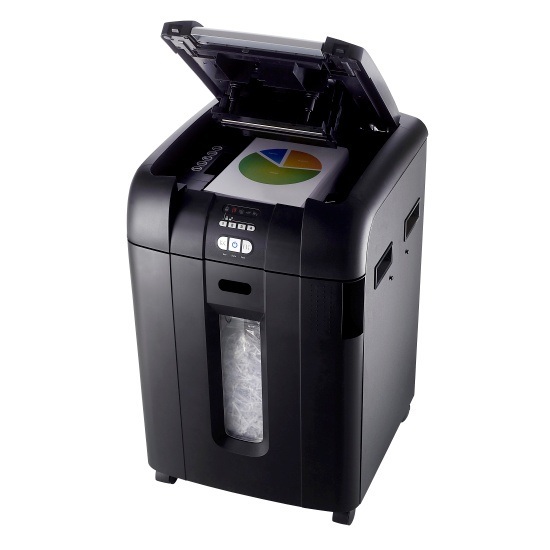 Shred 250 sheets at once or 8 sheets through the bypass slot for convenience - 4 mm x 40 mm Cross (Confetti) Cut (security level 3) shredder. No need to remove paper clips or staples. Dedicated slot (with separate waste bin) for shredding credit cards and CD's. Four digit feeder door lock for security with auto unlock on completion. LED panel display illuminates when door is open, bin needs emptying or cool down is required. Auto shut off after 2 minutes of non-use to save energy. Self-cleaning cutting head prevents jams. 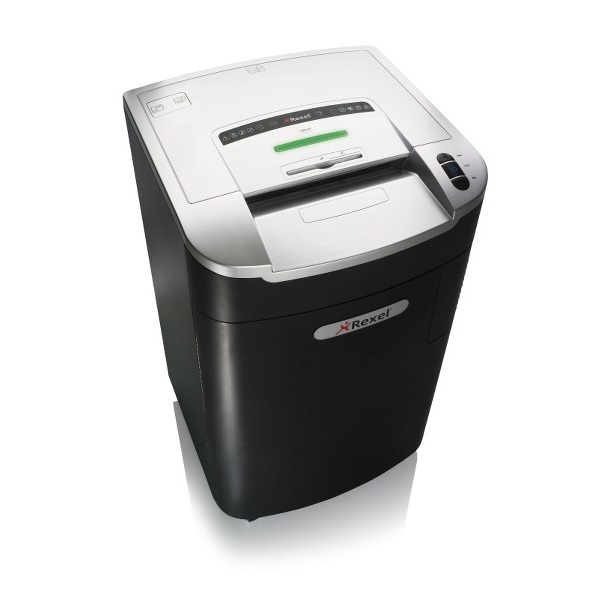 The ONLY departmental shredder to shred 500 sheets (including legal paper) in one go! 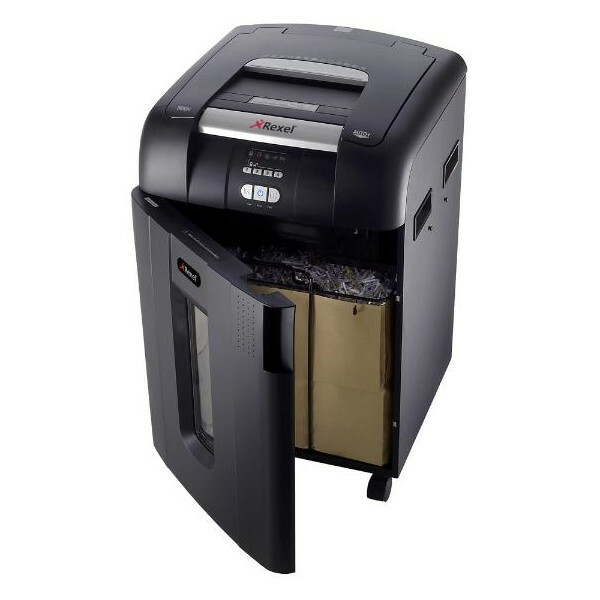 Shred 500 sheets at once or 10 sheets through the bypass slot for convenience - 4 mm x 40 mm Cross (Confetti) Cut (security level 3) shredder. Automatic oiling as when required to maintain and prolong the life of your shredder. 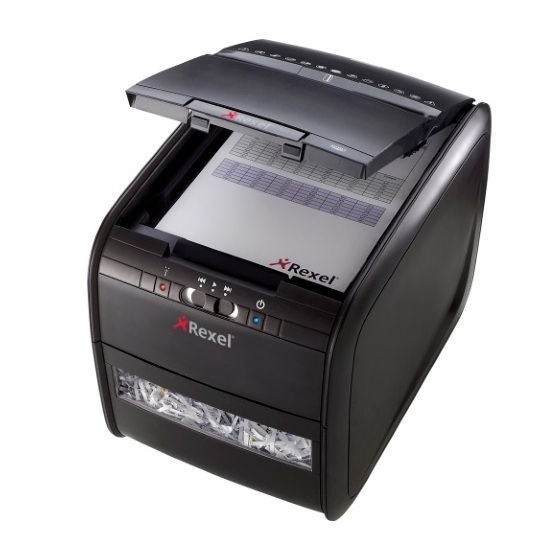 Large office shredder with Mercury technology from Rexel designed specifically for those companies that have a large shredding requirement. 32 sheet capacity 5.8 mm Ribbon (Strip) Cut (security level 2) shredder. Shreds staples, paper clips, credit cards and CDs. Separate CD tray for separating waste for efficient recycling. LED panel display for clear user communication. Auto shutdown down to zero power after 5 minutes. Continuous operation - no need to cool down. Self-cleaning cutters to prevent jams.